Flowers (approx. 3-4" / 7-10 cm) have one or more rings of florets with the central disc's dense tubular florets looking like elongated pincushions. 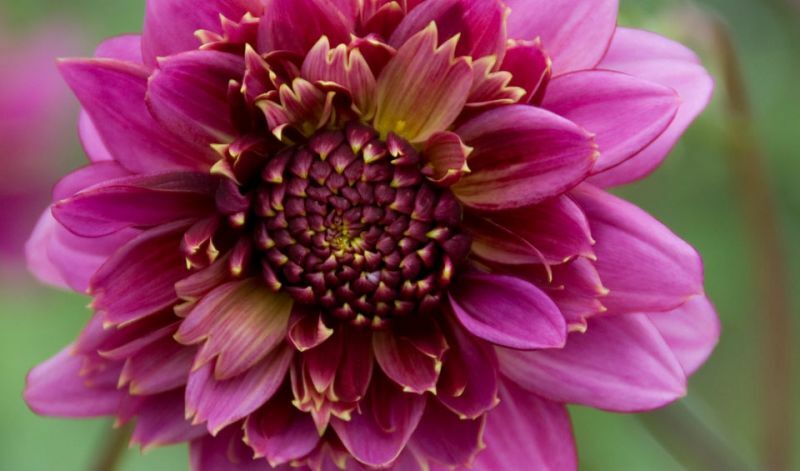 Definitely one of the more unique looking dahlias that deserves a special spot in your garden or mixed container. In borders, perennial- and flower-beds, containers and for cutflowers. 'Brio' (orange-red), 'Honey' (honey-yellow & pink), 'Purpinka' (purple), 'Siemen Doornbosch' (pink & white) and 'Toto' (white).